Strains in Jarro-Dophilus EPS® promote healthy intestinal microflora, which in turn helps to support intestinal health and immune function. Bifidobacteria Iongum BB536 has been clinically shown to stimulate immune response and promote healthy intestinal microfloral balance. L. rhamnosus R0011 is a unique, high producer of polysaccharides that facilitate colonization and stimulate intestinal immune response. L. helveticus R0052 assists in breaking down lactose (milk sugar), which may improve digestion of dairy products by those individuals who are lactose intolerant. Lactococcus and Pediococcus help reduce spoilage caused by unfriendly bacteria in fermented foods. Jarro-Dophilus EPS® is on sale for $5 off all this month at Baum’s! Our intestinal tract is filled with an enormous number of helpful bacteria called probiotic bacteria. They are called probiotic bacteria because the term “probiotic” means “for life,” as opposed to the term “antibiotic” which means “against life.” Our bodies are actually designed to have a symbiotic relationships with these probiotic bacteria. They help us digest our food, kill harmful microorganisms and keep us functioning properly in a number of ways. As we look into the intestinal tract we find that there are only a few probiotic bacteria in the stomach because it is highly acidic. However, the further down the intestinal tract we move, the number of these good bacteria increases dramatically with the biggest numbers being found in the large intestine. We need to have a large population of probiotic bacteria to aid with digestion and to keep the harmful, disease-causing microorganisms in check. 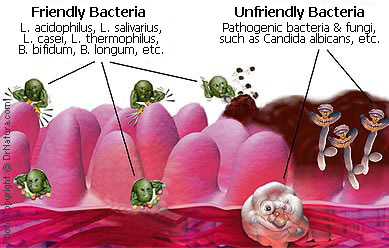 If the percentage of good bacteria is too low, compared to the bad bacteria, our bodies function poorly. Over time we are likely to have many health problems. For the average adult, the intestinal tract will contain about 4 pounds of bacteria. Normally there should be a balance of about 85% probiotic bacteria and 15% harmful bacteria, but many people are so far off that their intestinal tract contains only 15% probiotic bacteria and 85% harmful bacteria. Scientists are studying the benefits of taking probiotics and are finding it to be very beneficial. Our bodies are designed to function best with millions of friendly probiotic bacteria living in our intestinal tract. In the past, we replaced the probiotics in our system by constantly eating organic vegetables grown in dirt that was rich with soil-based organisms or drinking raw milk straight from the cow. I myself remember walking into the garden, pulling up young carrots, brushing as much dirt off them as possible and eating them on the spot. Think of the probiotics that were going into my system before I could wash them down the kitchen drain or boil them for 15 to 20 minutes. Today we need probiotic supplements because there are so many influences that prevent us from getting the probiotics our bodies need. Today, at least in the United States, many people eat a horrible diet composed of highly processed foods that are filled with chemicals and simple sugars and carbohydrates. Potato chips and Oreo’s are utterly devoid of anything living as are most of the boxed and prepared foods sold in the grocery stores. Because of the modern agricultural practices, such as the heavy use of pesticides and fertilizers, the soil-based microorganisms are no longer living in the dirt of most farms. We need probiotic supplements to replace what is missing in our food. The use of antibiotics (remember the “anti” means “against”) directly kills all bacteria in our intestinal tract. Drinking chlorinated water destroys our intestinal flora. The reason we put chlorine in the water is because it is able to kill bacteria and, unfortunately, it gets the good ones along with the bad when we drink it. The medical treatment of radiation and chemotherapy also destroys our intestinal flora as well as damaging our immune systems. Any course of chemotherapy absolutely must be followed with heavy doses of probiotic supplements. Farm animals are continuously fed antibiotics to keep diseases down. When people eat them they also are taking in these antibiotics which then harm the beneficial bacteria in their systems. 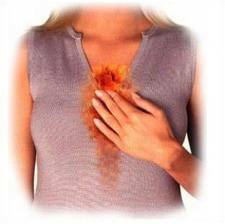 Many people who are concerned with health use colonics for detoxification. These practices can wash some of the good bacteria out of their systems. Alcoholic beverages tend to harm probiotics by killing them directly, encouraging harmful bacteria and yeast overgrowth. Unfortunately most people simply do not know that the health they experience right now has a direct connection to the billions of beneficial microorganisms that live in their gastrointestinal tract. These are microorganisms which help the body to break down and absorb foods, produce essential elements, while at the same time helping to clean putrefaction and waste, plus kill harmful bacteria, viruses, fungi and yeast. Let me introduce a gut’s best friend… ENZYMES! If you eat a diet of only fresh, raw foods, you are getting all of the enzymes you need from those foods. Most of us, however, eat mostly cooked or processed foods which contain little to NO enzymes. Heating food while cooking destroys the naturally occurring enzymes and when food is processed by a manufacturer, enzymes are either destroyed or removed. This allows them to sit on a store shelf for long periods of time without spoiling. This leaves our digestive system in distress. Our bodies can only do so much with the highly-processed, chemical laden foods we use to nourish our bodies. That’s why supplementing with enzymes is so very important! Digestive enzymes specifically, are little miracle workers that start working right away when saliva is mixed with the food that you’re chewing. Amylase is the enzyme that breaks down carbohydrates. When you chew carbs, they becomes sweeter as you chew because the mechanical action of your teeth and amylase in the saliva are breaking the carbohydrates down to their component sugars. Next, the food goes to the stomach where it stays about 60 minutes or more as it is further digested by the stomach acid and pepsin. Pepsin is a protease enzyme released into the stomach. If you take plant enzymes, most are quite stable in the stomach environment and go right to work. Plant enzymes can be working on food for at least an hour before the food proceeds to the small intestine where it is absorbed. Once the food enters the small intestine, plant enzymes continue to work. At this point, any pancreatic or animal enzymes kick in. . Some enzymes are released by the small intestine lining as well. Anything that disrupts the small intestine may also disrupt the production and release of these enzymes. If you have a leaky gut, inflammation, yeast, or something else which hampers the small intestine, then you are likely to also have trouble digesting the foods these enzymes work on. Plant enzymes are much more stable over a wider pH and temperature range. The stomach is very acidic whereas the small intestine is more alkaline. This is why plant enzymes can work effectively in the stomach, whereas animal-derived or pancreatic enzymes cannot. Most pancreatic enzymes need to be coated to survive stomach acid. Stop The Bloating and Indigestion Fast! Baums has worked closely with a top-of-the-line manufacturer of enzymes and has come out with our very own proprietary enzyme formulas. The 1st is called Ultra Veggie Enzymes which is a plant based enzyme formula. You take one capsule right before you eat and it starts breaking down hard to digest foods that can cause problems. Superzymes is a second enzyme formula we had put together for us. Superzymes contains the animal/pancreatic enzymes that help with the breakdown of proteins and fats and are taken after meals. 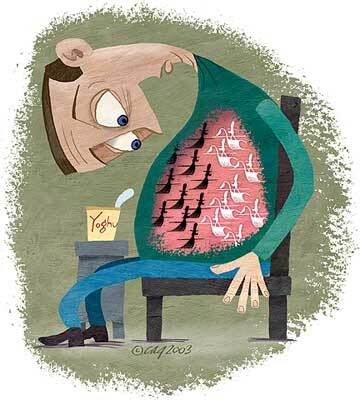 People who no longer have a gall bladder deal with difficulty digesting most fats and proteins. When the digestive process is disrupted due to the lack of bile that the gall bladder used to secret to emulsify fat, Superzymes can supply what is missing & help get digestion back on track. We’ve had some great feedback on these products already and feel strongly about the benefits they offer! Pick some up before the holiday eating season begins! Why be bloated, lethargic and miserable if you don’t have to?